Free Shipping on all of our photo paper prints! Frame not included. 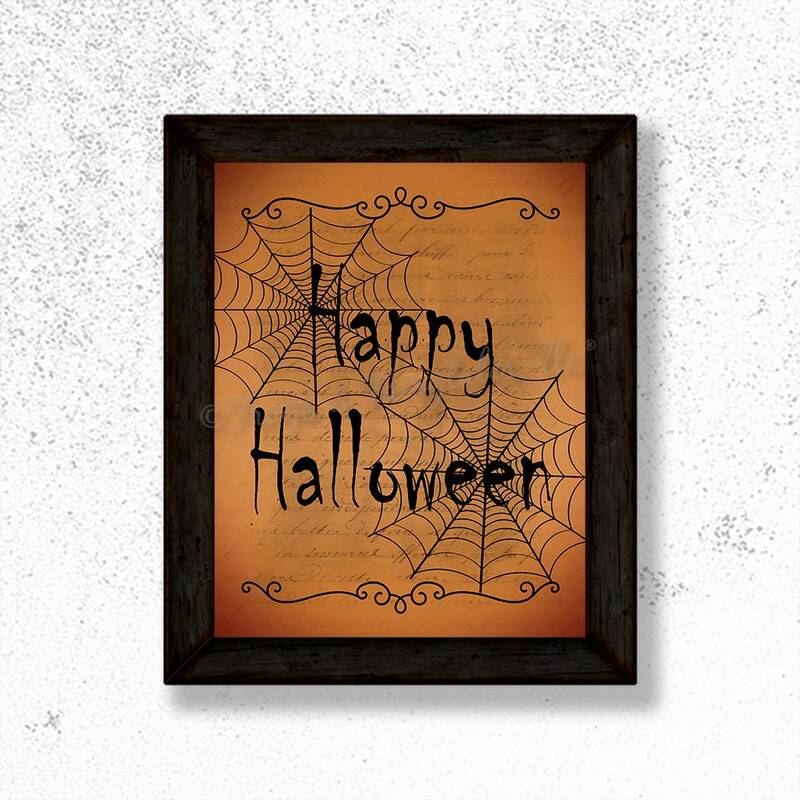 Happy Halloween in a spooky font with spiderwebs in black. The background is orange with a vintage paper effect. This would be a great addition to your Halloween decor. Choose from 4 different sizes using the drop down menu. You can choose to have it printed in the colors as seen in the listing example or custom colors using the drop down menu. If you choose custom colors, please leave your color requests in the note to seller section of your invoice. We will message you with a proof to approve before printing. Frame not included. Watermark will not appear on your actual print.